Guiding Question :How do you use gesture in Peking Opera? 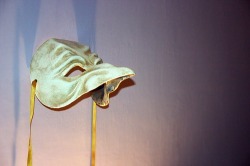 Guiding Question: What mask do you wear? Guiding Question - How can Theatre create change? 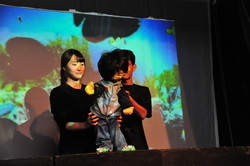 Guiding Question - How can puppets change people's opinions? Guiding Question - What is it like to walk in someone else' shoes? Inspired by the book "Talking in Whispers", student create a character based in Chile during Pinochet's reign and explore through an extended improvisation the search for a missing loved one. Both units examine Theatre from a dramaturgical approach. 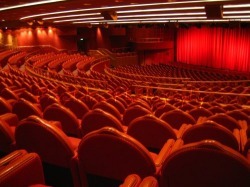 The Research Investigation is an introduction into the DP theatre. 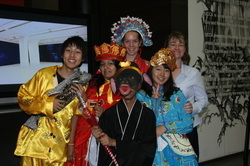 Students are asked to examine as aspect of Asian theatre and prepare a report and oral. The Critical Review asks students to analyse a piece of live theatre within the context of the production elements used.